For the both of you readers following my life exclusively online, you may be asking yourself, “Where has Leland been for the past five months?” Well, vigilant reader(s), I’m pleased to relay that reports of my hipsterization were greatly exaggerated. I’m alive and well, settled very comfortably in German-loving Lincoln Square (as you’ve no doubt noticed the rebranding of the blog; RIP Melrose Place). After taking a long look at the Blue Line corridor, I came to realize that I didn’t need the Blue Line to get to work. It was actually a terribly timed missed public transit hookup (I was left waiting at Jefferson Park for a bus that might or might not come, wondering not when I could get to work that morning, but if it was even possible) that basically made my decision for me — I was going to get a car (more on the whole car purchasing process in a later post). So with my newly minted auto, and newly lightened bank account, I was free to choose my own path to work and forgo relying on the Blue Line every day. 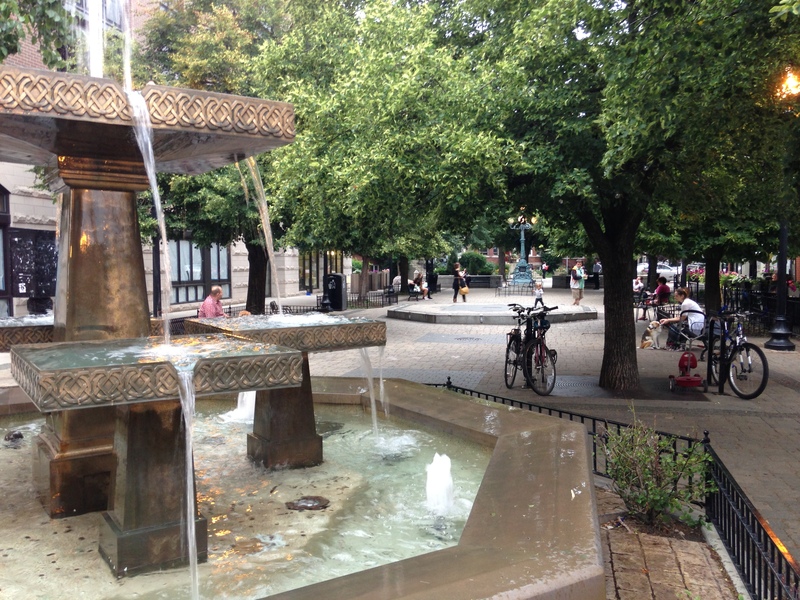 A view of the lovely actual square part of Lincoln Square. Never in my life have I had a more positive sequence of dominos fall into place. I felt like I was having such a good run of luck, why stop? It was an odd mix of that feeling coupled with my knowing where I wanted to be eventually, so why not hurry it up and get everything done at once? Within several weeks of the new job came the new (well, used) car. Within several months of that came a new place. I settled on Lincoln Square because I came to realize it was the best of both worlds — close enough to the city where I could still retain all the perks of urban life (shops, restaurants, the El, crazy homeless women screaming at their own reflections in storefronts) but also far enough out so I wasn’t slogging along on I-90 for an hour, averaging 12 mph. As anyone who talked to me during my moving process can attest, it was quite a stressful couple months for me. Since I just re-signed my old lease, I figured I’d rather endure a lot of short-term pain breaking the lease early, moving out and experiencing a better commute, rather than enduring another year of unhappiness (not to mention $160/month for parking). So, in moving, I had two options. 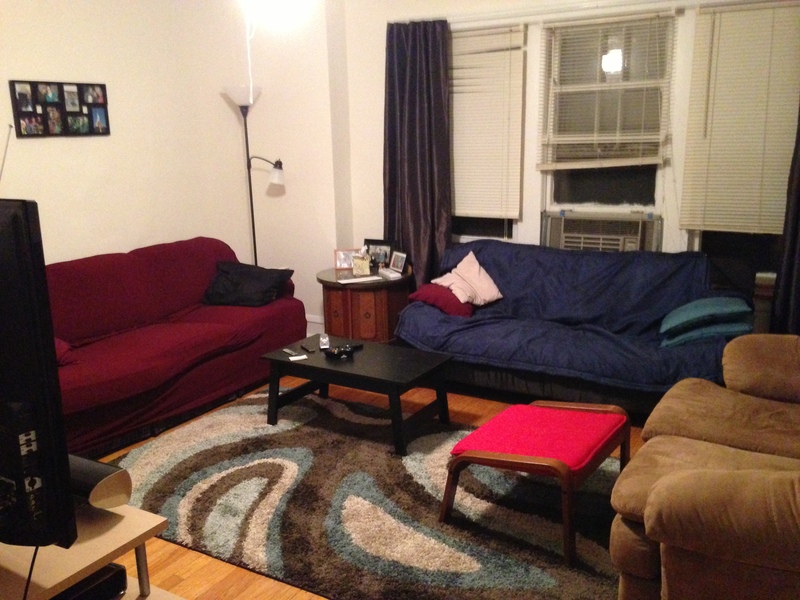 1) Start showing my Lakeview apartment in hopes someone would want it. When they signed the lease, I would have the amount of time until the new lease started to find a new place and move out. Or 2) find a new apartment, sign the new lease, and start showing my old place, hoping I wouldn’t have to pay two rents simultaneously. I chose the latter. One of my FOUR rooms in the new place. I have a closet so big you could count it as a fifth. Eventually I found the right guy, a chef downtown with a motorcycle, and only ended up paying an extra month’s rent. I’ve been living in, what I believe, is a hidden gem of a neighborhood in Chicago for about two months now. I’m a half mile from the El, a half mile from River Park which boasts a fantastic, uncrowded, bike trail (unlike the lakefront path). The restaurants are great, a lot of my friends were here or have moved here, and the price is right. Things are pretty good right now, and I’m hoping to (much more frequently) keep posting about future good times.